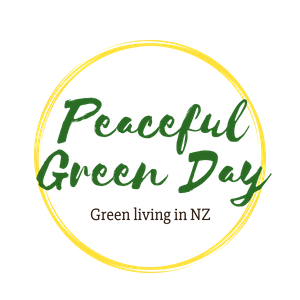 Peaceful Green Day: How much poison? How much poison is it OK to put into rivers? I've been pondering that question recently, having came across a wonderful collection of essays by E.B. White - he of Charlotte's Web fame. Yet he only wrote three children's books, devoting most of his life to enchanting adults with his writing. And now, quite a few years after his death, he's enchanting me. I can't get enough of his way with words. Writing in 1956 in an essay called 'Sootfall and fallout', he got a bit angry about pollution. I guess that was when heavy industrialisation and chemical production was revving up in the United States, his home country (he lived in Maine and New York). "I belong to a small, unconventional school that believes that no rat poison is the correct amount to spread in the kitchen where children and puppies can get at it. I believe that no chemical waste is the correct amount to discharge into the fresh rivers of the world...," he wrote. Actually, so do I. But we are still doing it. There's just been an Otago University study released showing residues of a certain pesticide in 83% of South Island streams, including one running through an organic farm. The poison in question is chlorpyrifos. Chlorpyrifos is an organophosphate, much like DDT. Given that DDT was banned in New Zealand in 1970, you'd think it would be a thing of the past. Now, 45 years later, DDT itself is disappearing, but its breakdown product (DDE) remains, and the Otago University scientists found that in the streams too. All organophosphates are renowned for sticking around in a bad way, in the environment and in the fatty tissue of animals. Chlorpyrifos is approved for aerial spraying in New Zealand. What shall we say to our grandchildren? "Yes, we knew it was bad for us and the environment, but we thought it would be OK if only tiny amounts were there." "Yes, we knew it would still be there when you grew up. But we did it for a good reason: we didn't want to pay too much at the supermarket." I lack the energy to read all the research on how bad it is for us. The relevant wikipedia site might not be totally reliable, but it scares me enough, and my gut screams at me that it's not good. Here's a little US-centric excerpt about how thoroughly it gets into us: "A body burden study conducted by the Centers for Disease Control and Prevention found ... a metabolite specific to chlorpyrifos in the urine of 91% of people tested..... A 2008 study found dramatic drops in the urinary levels of chlorpyrifos metabolites when children switched from conventional to organic diets." Regarding streams, there's absolutely no question that the stuff is toxic to aquatic life and bees. And yet it can be sprayed aerially? What on earth are we doing? To semi-plagiarise the word master E. B. White, I profess a sensitivity to organophosphates. They hit me right in the adipose tissue - not to mention my heart, where it concerns my love for this planet. The Otago publication is here and the University's press release about it is here.